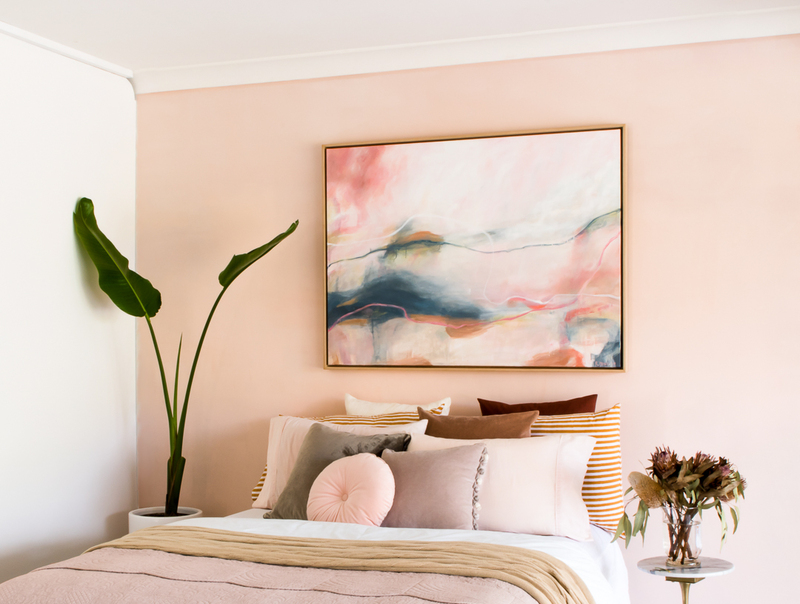 I recently had the privilege to work with Rachael Honner, a Brisbane-based interior stylist, on a bedroom shoot to showcase some of my paintings. 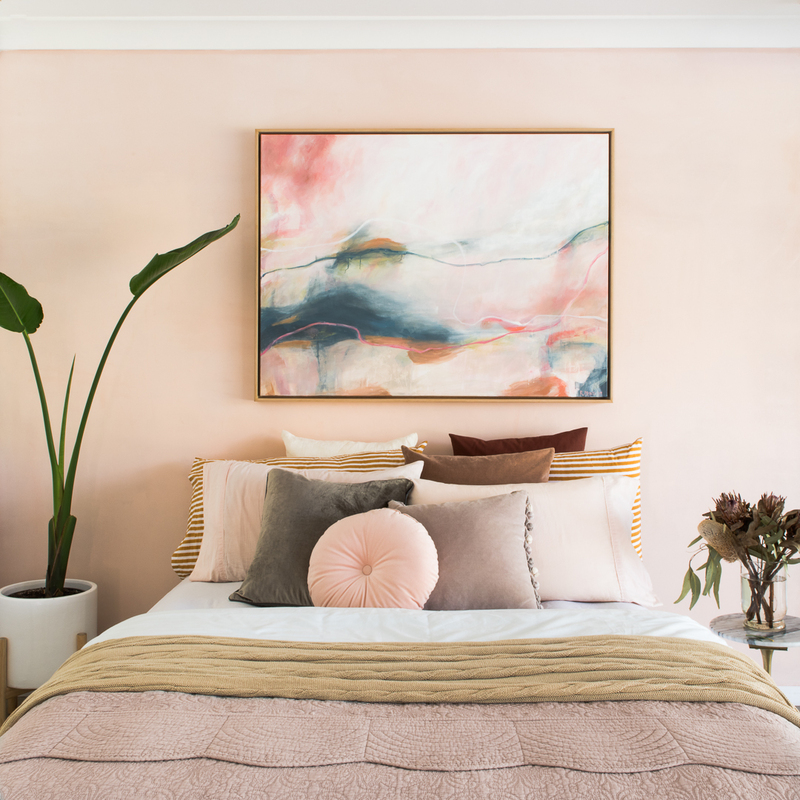 She has an ability to develop unique and interesting styling, while at the same time creating something that feels familiar and comfortable. 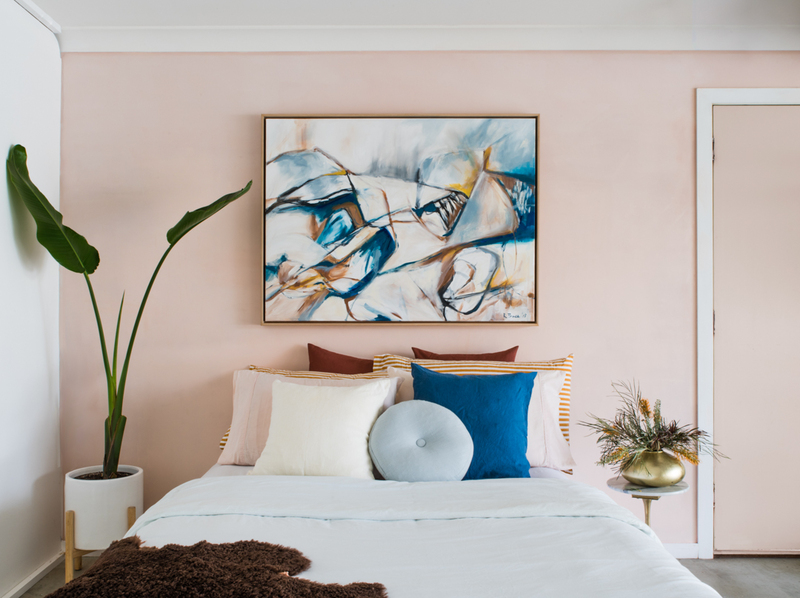 Rachael also has a very considered design-led approach which I think really came through in this bedroom setting. Her focus was really all about making the artwork the hero, while allowing everything else in the shot to complement the painting without overriding it. I think she achieved this beautifully. 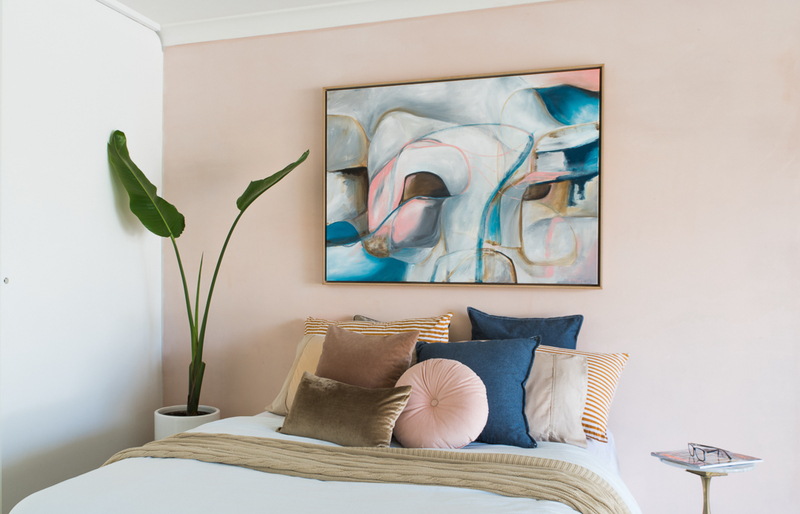 It was an absolute pleasure to work with Rachael, I learnt so much and I just love seeing my artwork styled in a way that shows people how the paintings can look in their own homes and spaces.